Profoundly impacted by her participation in the Brandeis Collegiate Institute in 1995, Laurie set out on a path to intentionally cultivate her own spiritual journey. Becoming a rabbi was an ideal way to merge her passion for Judaism and education after earning a BA in education and special education, as well as an MA in Leadership in Teaching, Curriculum and Supervision. During her time in rabbinical school, she participated in the Mandel Senior Educator program. Laurie was ordained by HUC, Los Angeles in 2003, and last year she completed the 3 year Rabbinic Leadership training provided by the Shalom Hartman Institute. 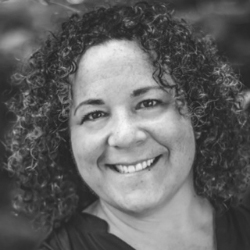 Laurie has worked for JCC Association as the Associate Director for the Mandel Center for Jewish Education, co-creating "Lechu Lachem,” designed to immerse camp directors in a personal exploration of their relationship with Judaism. She served as the Director of Education for Wilshire Boulevard Temple and Congregation Habonim, transforming both into an energized, vibrant place for learning and growth. In collaboration with the Manhattan JCC and three other Manhattan synagogues, Laurie helped create and implement the Jewish Journey Project, a choice-based supplemental Jewish educational program for kids through middle school. Laurie is active in Kids4Peace, Vice President of MATAN, UPROOTED board member, and a trained birth doula. She is deeply committed to empowering women to reclaim mikveh through education and crafting individual experiences. Laurie is also a teacher of mindfulness and believes strongly that a regular practice involving silence and chanting can transform, nourish and heal. Laurie lives in Harlem with her husband Howard, step-son Adam, and their dog Daisy. 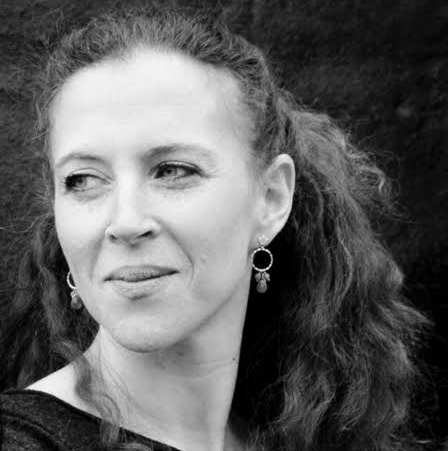 Originally from Israel, Daphna Mor is an internationally renowned musician, hailed by the New York Times and the Chicago Tribune for her virtuosity, as well as a passionate educator. Since moving to Brooklyn in 2000, she has established herself as a leading musician and educator/prayer leader in the Jewish world, serving as a Musician in Residence at B'nai Jeshurun Synagogue, and leading the Early Childhood program and services at Brotherhood Synagogue in Gramercy Park. In other educational initiatives, Daphna acts as the Musician to the Education Department of the Metropolitan Museum of Art connecting Art and Music Education. Daphna lives in Williamsburg, Brooklyn, with her husband Daniel and their two daughters Alona and Aya. Jakee is a marketing professional with 10 years experience helping brands be their best. She is a graphic designer, photographer and newly minted Yoga Teacher trained at Laughing Lotus Yoga NYC. She is a lover of great design and spirituality in all its vast and beautiful forms. When she is not designing graphics for the web or social media, she is doing yoga and drinking chai with her cat Lil’ Swerve. Charlotte Gordon is a proud member of Beneinu and has two children participating in the explorers program. She believes that the concept of tikun olam—repairing the world—and helping others in the community is a fundamental part of the Jewish faith. Sharon Ordover is an attorney with over 30 years of experience. Sharon started her legal career at the Law Firm of Epstein, Becker & Green before moving into the corporate sector where she was appointed the Corporate Counsel of the DSN Companies, an affiliation of insurance companies and service contract administrators. She thereafter joined Active International, a New York based corporate trading company where she was ultimately promoted to EVP, General Counsel. Sharon is currently the SVP, General Counsel of Evergreen Trading, a media trading firm that purchases media on behalf of it clients and allows them to pay a portion of such advertising with its surplus assets. Sharon's legal experience is diverse and includes corporate transactional work, such as mergers, acquisitions and joint ventures, complex financing arrangements, employment-related law, intellectual property, corporate governance and compliance, insurance and real estate. Sharon holds a J.D. from Benjamin N. Cardozo School of Law, an M.S.W. from Wurzweiler School of Social Work and a B.A. from Clark University. She holds certificates in Mediation and Divorce Mediation from the New York Center for Interpersonal Development. She serves as a Board member and Secretary/Treasurer of Beineinu NYC, Inc. and has recently been elected to the Board of Managers of the condominium where she lives with her husband, Mark, and son, Matthew. Sharon is also the mother of three other children, Danielle, Ryan and Emily. Nicole Weiss is currently the Chief Operating Officer at Beit Rabban Day School. Nicole has worked as an executive in the Jewish community for almost twenty years, serving as a member of the administration of Central Synagogue in New York City, the senior manager for year-round programs for Young Judaea, a consultant, program director and department director for the Departments of Youth and Jewish Family Concerns of the Union for Reform Judaism. Holding both BSW and MSW degrees from the University of Texas, Nicole also holds a certificate in Non-Profit Management and Philanthropic Studies. She is also an accomplished chef and is the founder of Coterie Cuisine. Nicole lives in Harlem with her husband Brad and their daughter Stevie Alexandra. Adam Blotner's love for Judaism was fostered at magical summers spent at URJ Camp Swig/Newman in California. His vision is to share the spirit, joy, and energy of Jewish summer camp with all ages in all settings. Before moving to New York in 2012, Adam lived in Los Angeles where he was the Head Songleader for NFTY Southern California, and Music Specialist at Kehillat Israel. He writes and performs original Jewish rock with his band "Hebrew School All-Stars" (yes, it's available on iTunes!). When he's not at shul, Adam does sketch comedy and improv. With his collective of fictitious bands, "Pop Filter," he has performed in festivals and theaters across the country, including the NY Fringe Fest, LA Comedy Fest, and NYC Comedy Week. He grew up in sunny San Diego, and currently lives in lovely Hoboken with his beautiful wife Jenny and their adorable dog Cannoli. 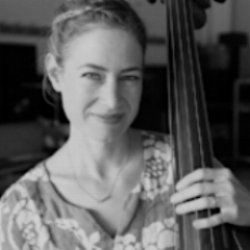 Brooklyn-based SASKIA LANE is a Juilliard-trained bassist, composer, performer, puppet maker and educator whose work spans many genres. Currently Saskia appears each summer at the Salzburg Festival in the celebrated annual production of Jedermann and this fall she will continue to tour her show, Birdheart, co-created with director/designer Julian Crouch. In addition to traveling to the far East, she had the honor of performing the piece for the Dalai Lama in Belgium. Since 2010, Saskia has been a member of the noted theater company, Checkov at Lake Lucille, as performer and composer, and is set to appear in the group’s soon-to-be-released feature film of The Seagull (Anton’s Week; currently in post-production). Saskia worked for several years with the British-based Improbable Theatre Company on The Devil and Mister Punch, which toured internationally. Her work has received residencies at The New Victory Theater, BRIC, Park Avenue Armory, Watermill and St. Ann’s Puppet Lab. Yuval Lion has toured and recorded with some of the world’s most distinguished rock, pop, r&b and jazz artists including Chrissie Hynde, Suzzane Vega, Sharon Jones and the Dap Kings, Trixie Whitley, Meshell Ndgeocello, Chocolate Genius, Lionel Loueke, Marc Ribot, John Zorn and Moroccan singer Hyndi Zahra. A native of Tel Aviv, Lion has toured and recorded with Israel’s top artists including Danny Sanderson, Alon Olearchik, Danny Litany, Eran Tzur, Korin Alal and Bat Sheva Dance Company. He has appeared on numerous prime time television shows backing up Israel’s top artists and bands. After receiving a scholarship from the Berklee College of Music he relocated to Boston in 1997. He is currently based in New York City where he is in high demand as a session drummer. For his solid groove and exceptional tone Lion is sought after by today’s leading music producers including VIctor Van Vugt (NIck Cave, Chrissie Hynde, PJ Harvey Beth Orton), Dave Sitek (TV on The Radio, The Yeah Yeah Yeah’s) Hector Castillo, Bjork, David Bowie), Andres Levine (David Byrne), Gerry Leonard (David Bowie,Suzzane Vega), Thomas Bartlett (Doveman,The National, Trixie Whitley). Lion tours internationally with acclaimed singer/songwriter Martha Wainwright with whom he recently appeared on NBC’s Tonight Show with Jimmy Fallon. He currently plays with uber cool New York based band Cibo Matto, NY guitar trio Big Lazy and David Byrne's New York Public Theater production Joan Of Arc-Into The Fire. In addition to worldwide tours Lion maintains a high profile in New York City's live and studio scene. Eli Schoenfeld is an American-Isreali multidisciplinary actor, singer, musician, and theater-maker. Eli trained at the Nissan Nativ Acting Studio in Jerusalem and at the Royal Academy of Dramatic Art (RADA) in London, where he completed his MA in Theatre Lab. His work had received numerous awards, and he has worked in various performative modalities in Israeli television, theatre and film. In addition to performing, Eli is also an experienced educator, and has taught Hebrew and Jewish themes to groups and individuals of all ages at Ulpans, schools, and privately in Israel, the UK and the US. Eli teaches using unique, personal, student-focused approaches while drawing on his extensive performance training. Eli is also a RYT, and teaches Yoga, meditation, and performance in a variety of settings. He recently moved from Israel to NYC, and makes his home in Brooklyn. I was born in Kfar Saba, Israel. I speak fluent Hebrew and grew up very involved in Judaism. I’m a graduate of Touro College with a Psychology degree and next year I’ll be headed to law school. I really enjoy sports, business, and spending time with my little sister Hadassah. Miya Rotstein grew up in Montreal in a tri-lingual home and graduated from McGill University with a degree in Cultural Studies. She has been developing creative arts based Jewish curricula, teaching Hebrew language, Jewish studies and Torah/ Haftorah preparation to both children and adults in NYC for over 15 years. Miya also works as an artist and personal chef. She lives in Crown Heights, Brooklyn. Currently a first-year at Columbia, where he plans to major in math, and The Jewish Theological Seminary, where he plans to major in Bible, Jesse Miller hails from Pasadena California. Jesse has worked extensively with students who struggle in math as well as with students with learning disabilities. In shifting the emphasis from rapid comprehension and memorization to a conceptual understanding of material, Jesse has been able to help students with learning differences achieve success in the classroom. In addition to tutoring as an after-school job, Jesse spent years volunteering as a tutor and mentor at the Hillsides Home for Children, a refuge for at-risk children in the Los Angeles area. In his Jewish life, Jesse has worked on projects with the Holocaust Remember Us Project, written for the Jewish Journal, and been an active member of the Los Angeles Westside JCC. His short story, "Leshalem," was published in Bluefire Magazine. A committed vegan, Jesse is on the Columbia cycling team and enjoys woodworking, ceramics, backpacking and the exploration of all faiths. Noah Avigan is a sophomore at Columbia studying English. He is from Sharon, Massachusetts and spent a year in Israel in a yeshiva studying Jewish texts. He enjoys reading, playing basketball, and exploring New York. Yoav Varadi is a sophomore at the Jewish Theological Seminary / Columbia University Joint Program studying Jewish Literature and Sociology. He is from Cherry Hill, New Jersey. In his free time, Yoavenjoys reading, photographing, traveling, and spending time with family and friends. Gidon Halbfinger is a senior at Columbia University studying philosophy and Jewish studies. Prior to his time at Columbia, he learned at Yeshivat Birkat Moshe in Israel. Gidon is passionate about Jewish education; in the past, he has worked on educational curricula for the Tikvah Fund. When not working on Jewish subjects, he can often be found watching baseball: though originally from Washington, DC, Gidon inherited an allegiance to the Boston Red Sox from his father, which has greatly complicated life in New York. Despite that, he enjoys exploring the city, and is always on the lookout for exciting new jazz clubs. Yaira Kobrin is a sophomore at Columbia University studying English Literature. Before coming to Columbia, Yaira spent a year studying at the Beit Midrash Migdal Oz in Israel. Yaira has spent much of her life involved in Jewish education, both in summer camps and at various synagogues, and is excited to be working with the wonderful people and unique vision of Beneinu. In her free time, Yaira enjoys running, reading, cooking, and spending time with her family and friends. Isaac grew up in upstate New York. He graduated in 1995 from the State College at Buffalo where he received a B.A in Business Administration. In his spare time he enjoys coaching his kids soccer team, going to boot camp and skiing. He currently resides in Manhattan with his wife Sondra and two children, Ryan and Ava. Isaac is heavily involved in charitable causes and won the 32nd annual Advisor With Heart award in 2012, where Registered Rep. selects men and women in the industry whose commitment to charitable causes goes above and beyond. Isaac drives a van every Tuesday night that provides meals and clothes for the homeless in New York City and has been doing this for 8 years. Architect, principal of Tesoro Architects, a New York City architectural firm servicing institutional, commercial and residential clients since 1985. He taught architectural design and drawing at Columbia and Carnegie-Mellon Universities. He has a Fulbright Fellowship (Architectural Conservation) in Rome, Italy and holds a Bachelor of Architecture from Carnegie-Mellon University, 1975. Robert Kanter is an EMMY Award-winning film and television producer, having been honored by the National Academy of Television Arts and Sciences for the film Voices of the Children. He is currently producing the film adaptation of John Steinbeck’s The Log from The Sea of Cortez with James Franco and a feature dramatic film based on a true story, Treetop. The film he coproduced, Citizen Havel, had its U.S. premiere recently at Lincoln Center and features, among others, Bill Clinton, Mikhail Gorbachev and The Rolling Stones. Other films he has produced include: Havel’s Audience with History with Václav Havel and Paul Newman, directed by Academy Award-winning director Jiri Menzel; Where Dreams Debut with Gregory Peck, Jean Stapleton and Isaac Stern; Making Dance American with Tommy Tune and Agnes DeMille; and a television special at the Santa Fe Chamber Music Festival with Aaron Copland, among others. He has worked extensively in Latin America, including the production of more than 10 documentaries and a 6-part telenovela. He has produced several projects as well for non-profits such as Hadassah, UJA-Federation of New York, and New York University Langone Medical Center. He has been a visiting professor at the University of North Carolina School of the Arts and has served on the media panel of the New York State Council on the Arts. His work has been published in The Washington Post as well as other publications. He is an honorary trustee of Congregation B’nai Jeshurun in New York City and a board member of Twelve in Twelve Foundation.